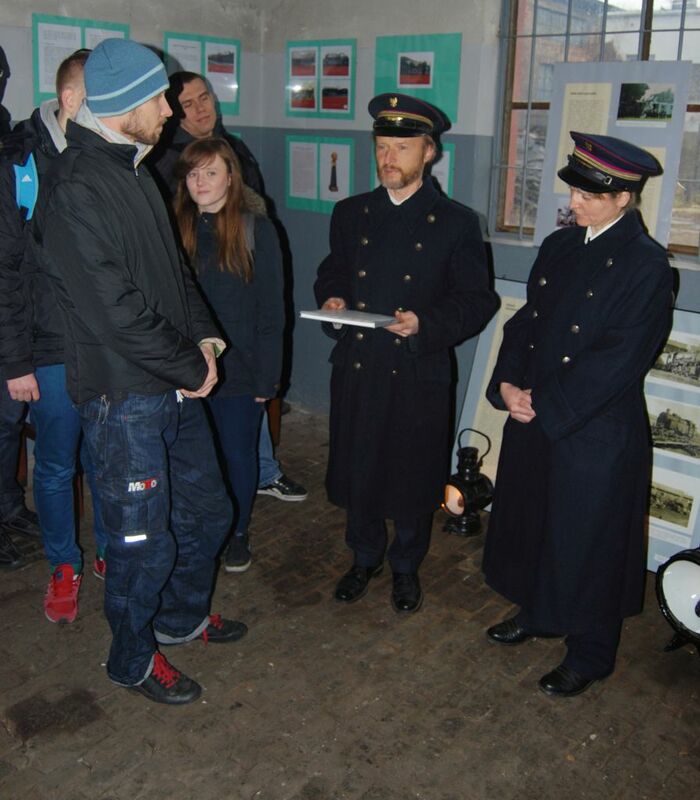 Railwayman Day, which falls on the name day of St Catherine of Alexandria, is also a traditional final event of touristic season in Skierniewice Engine Shed. This year we decided to celebrate the Day earlier, on Saturday 23th November, the closest to this holiday. And so, on the foggy but snowless morning, we’ve once again invited all interested to visit our shed. During this railway holiday we always try to show something beyond our rolling stock collection. 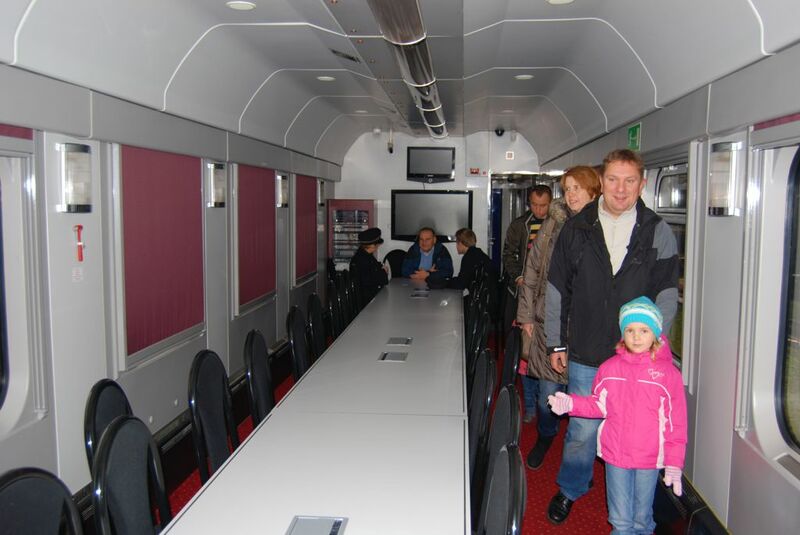 This year’s main theme was the modern passenger cars of PKP Intercity. 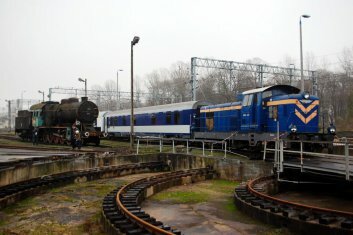 Diesel engine class SM42-223 arrived at the shed from Warsaw with an elegant conference carriage type 508A coupled with the slipping car type 305A. 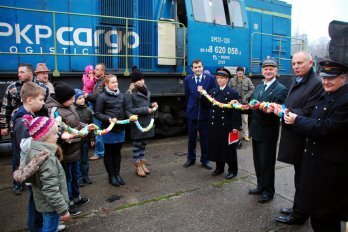 Consequently, Skieniewice were visited by a nealy complete “business” train which provides conditions for undisturbed office work round the clock. 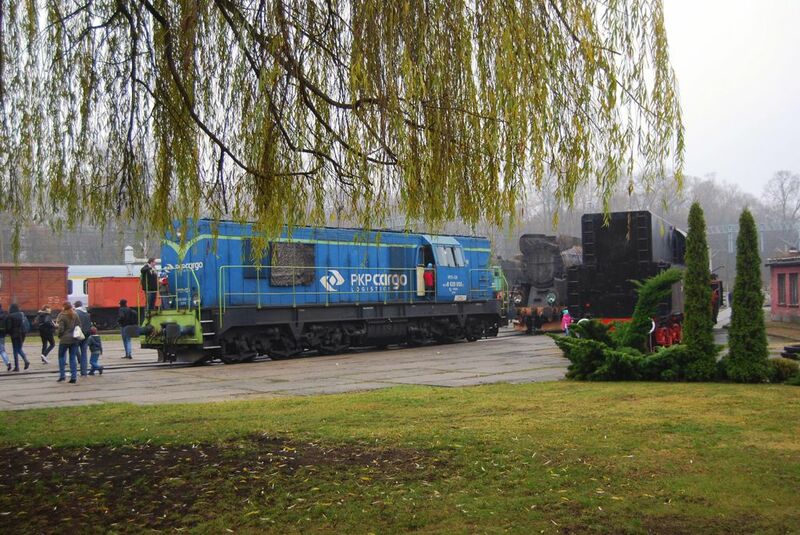 To underline that railway consists not exclusively of passenger traffic, we invited PKP Cargo’s shunting diesel class SM31-126 from Łódź. The list of guest appearances was closed by the Unimog emergency vehicle from PKP Polskie Linie Kolejowe infrastructure maintainer. 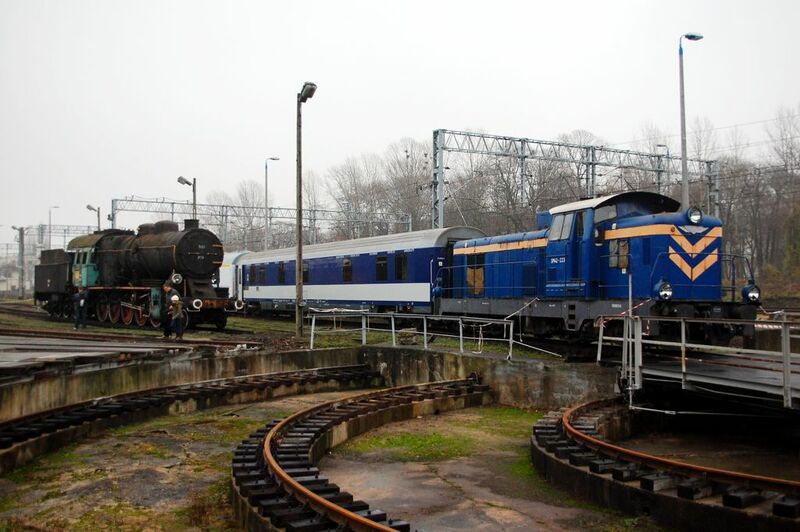 Unfortunately, “Traxx” engine from Lotos-Kolej didn’t reached the shed, while being deployed in more important freight task. 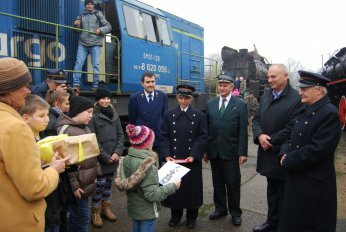 Thanks to the initiative of Przewozy Regionalne, our visitors could travel back home free of charge, using their one-way ticket with stamp of our Engine Shed. Except the rolling stock exhibition, visitors had the occasion to see (and take a photo) of “vintage” railwaymen. 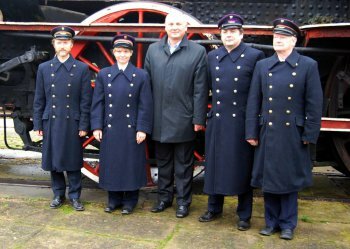 Our president and three members of the association wore the 1958 railway uniforms, modeled after their 19th century counterparts (ex. long, double-breasted mantels). The uniforms are original and represent their epoch in the finest detail. While closing the touristic season, we didn’t forget about very important, round anniversary. 160 years ago, summer 1853, Ignacy Łukasiewicz constructed the first kerosene lamp. This path-breaking invention is closely related to railways. 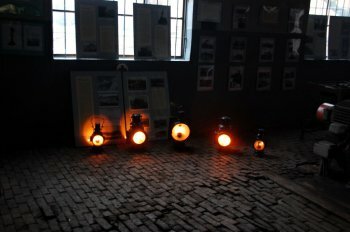 Namely, the first large batch of lamps was ordered by Kaiser Ferdinand’s Northen Railways (KFNB). Kerosene was vital for railroads nearly to the end of 20th century. 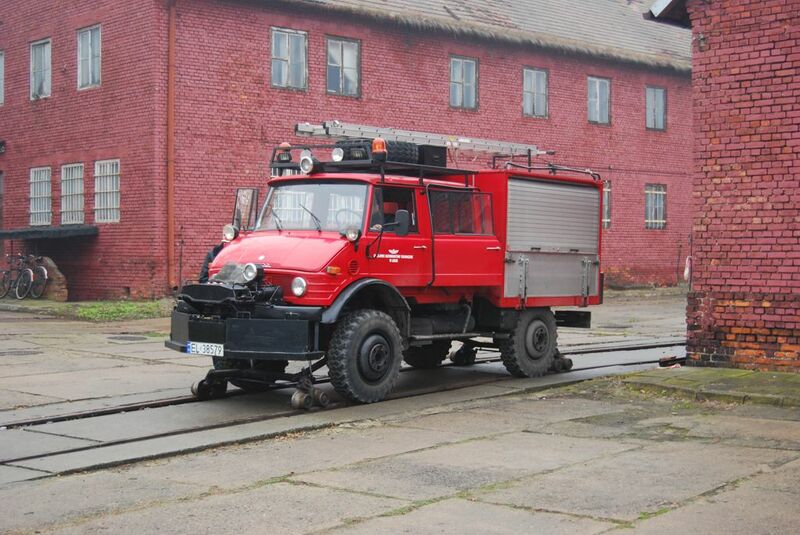 At the beginning it produced light everywhere – from offices and warehouses to train headlights and signals. Lately the need for kerosene lamp was limited to the old mechanical signals. 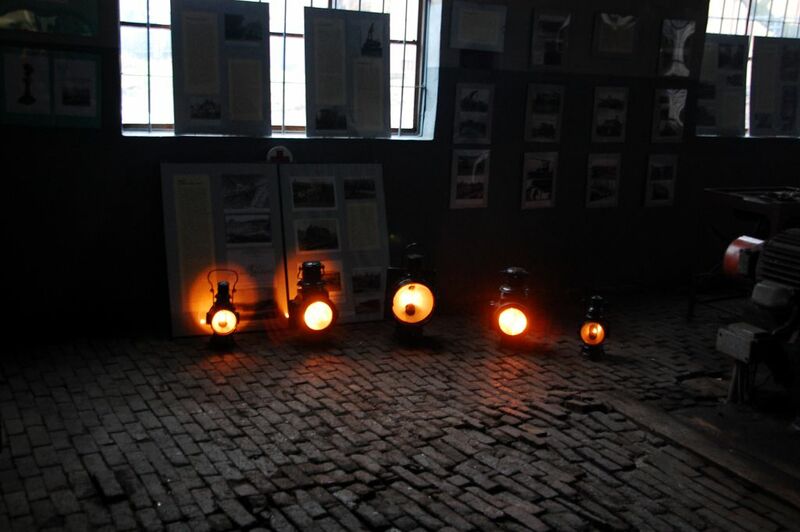 To celebrate the anniversary, in the smithy we’ve placed a row of kerosene lamps, still in working order, ranging from small signaling lamps to the big headlight of the last class Tp4 switcher from Skierniewice. The last open day in the year was also an opportunity for countless meetings and summaries. In the morning we were visited by Mr Leszek Trębski, City President of Skierniewice. 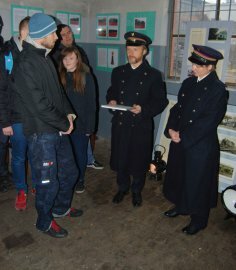 With pride we’ve presented to the officials the result of this year’s renovation works: refurbished roof of the roundhouse (sponsored by Department of Culture and Heritage and Łódź Voivodeship Restoration Fund) and ongoing preparation of the railway communication exhibition. City President wished all the best on the occasion Railwayman Day. Pupils of the Primary School No 4 also didn’t let us down on that day. Under the supervision of the tutor, Mrs Beata Więckowska, they brought us a special gift – very long paper chain – train. Special open day was also the occasion to finalize the audience competition for the best photo at the “History Enchanted in Iron” exhibition. Visitors of the gallery, placed in the machine shop, could vote for their favorite work during each Open Day. The winners were Anna Bryjak and Łukasz Gładki. 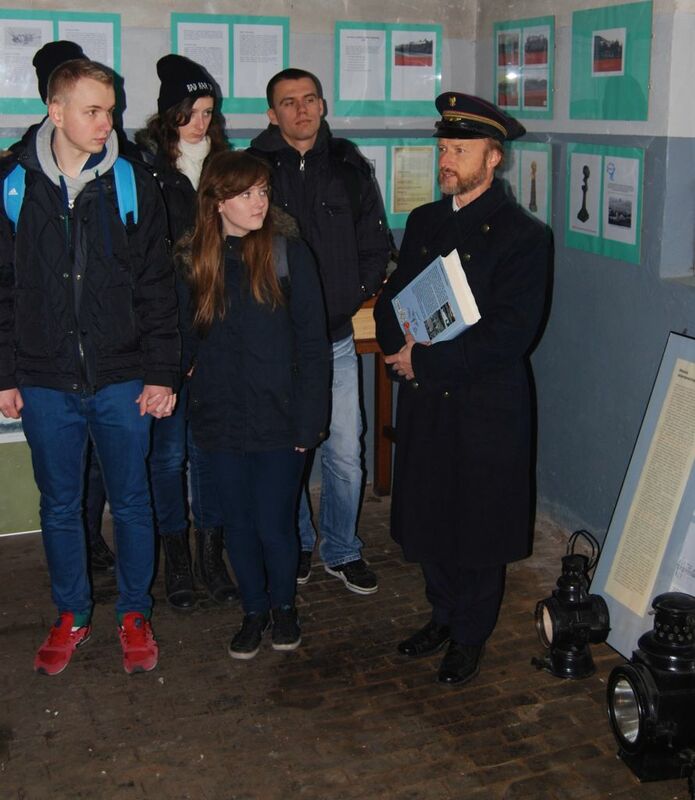 During this last open day of season 2013, we were visited by 375 people. Summarizing, during this year we’ve once again broke the attendance record reaching 6000 visitors! 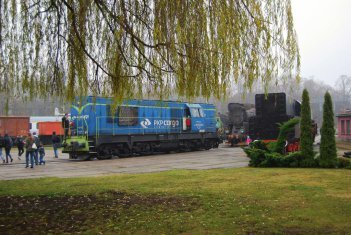 Skierniewice celebrated the railroad holiday not only in the Engine Shed. 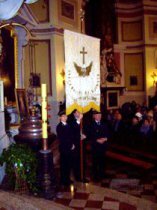 The next day, on Sunday, a mass for railroad workers and members of PARE took place in the Church of St. Jakob. It was an occasion to recollect our friends, who passed during the relatively short (when compared with the timeline of railway history) time of the Association’s existence. PARE was represented by standard bearers with the historical 1907 standard of Warsaw-Vienna Railroad workers: Judyta Kurowska-Ciechańska and Paweł Mierosławski. They were accompanied by Mr Kazimierz Miastowski from Railwaymen Ministry, a former worker of Skierniewice Depot.